India's junior foreign minister announced his resignation on Wednesday following allegations of sexual harassment by a string of women, as the country's fledgling #MeToo movement gathers pace. "Since I have decided to seek justice in a court of law in my personal capacity, I deem it appropriate to step down from office and challenge false accusations against me," M.J. Akbar, a veteran newspaper editor before joining politics, said in a statement. Akbar earlier denied #MeToo claims. On Sunday he dismissed sexual harassment allegations made against him by several women, mostly journalists, and ducked calls for his resignation as the country's fledgling #MeToo movement gathers pace. 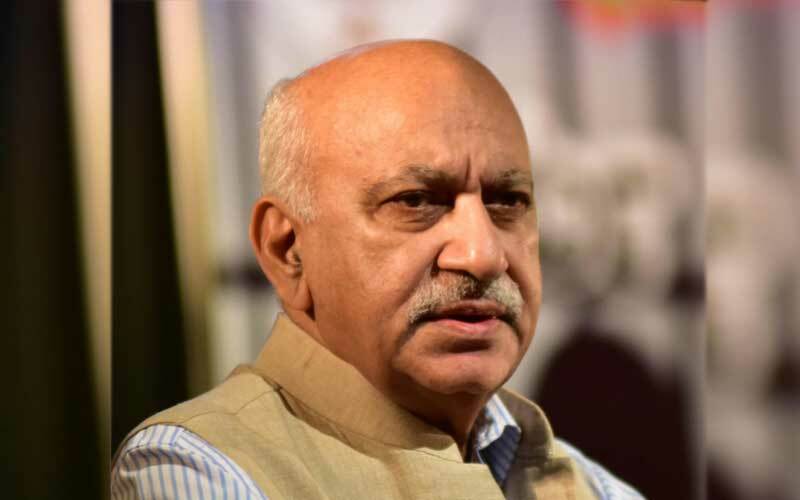 MJ Akbar issued a two-page rejoinder in which he said allegations of sexual misconduct when he was a journalist were "without evidence". "Allegations of misconduct made against me are false and fabricated. These false, baseless and wild allegations have caused irreparable damage to my reputation," Akbar said in a statement. "Accusation without evidence has become a viral fever among some sections. Whatever be the case, now that I have returned, my lawyers will look into these (claims)," the statement added. Akbar, a minister in prime minister Narendra Modi's government who has just returned from a trip to Africa, went on to question some of his accusers in the rejoinder. Journalist Ghazala Wahab wrote a long #MeToo post for online news website The Wire earlier in the week, accusing Akbar of harassment and saying Akbar had "sexually harassed and molested" her. "This is my story. My last six months as a journalist at Asian Age, the newspaper he edited, were pure hell with repeated physical advances," she wrote. Akbar claimed that Wahab's account was "an effort to damage my reputation." "The only office where I worked with her was that of The Asian Age. A part of the editorial team then worked out of a small hall," it said. "It is utterly bizzare to believe that anything could have happened in that tiny space, and, moreover, that no one else in that vicinity would come to know," Akbar added. The minister also questioned the account of journalist Priya Ramani, who was the first to publicly accuse him of inappropriate behaviour. But he still faces calls to be sacked from his position as more allegations emerge. Earlier this week HuffPost India shared another account by a woman who was allegedly harassed by Akbar while working with him as a teenage intern. India's belated #MeToo movement has made headlines over the last few days with women sharing powerful accounts of alleged harassment by several powerful men including a minister, Bollywood filmmakers, news editors and comedians. On Friday, the production of a Bollywood blockbuster was halted after the film's lead called for harassment claims against its director and co-star to be "stringently" investigated. Accusations that Patekar behaved inappropriately on a film set 10 years ago sparked India's #MeToo movement.